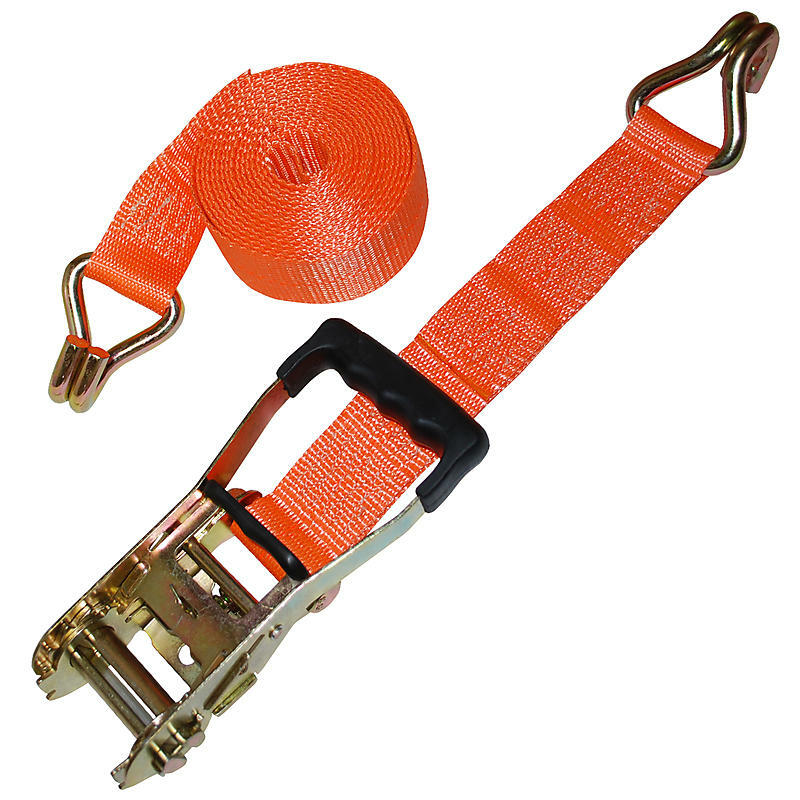 These ratchet straps with Rubber Handle and Wire Hooks are versatile and easy to use. They are used similar to a belt on your pants; attach each end of the strap, pull the webbing through the ratchet and crank to tighten it. These tie downs can be used in a wide variety of applications. You can choose the length of this strap, color of webbing, and type of wire hooks. If you are interested in RED webbing, please call 800-444-0956. For a standard Yellow 2” x 27’ version of this strap click here. For a camouflage version of this strap click here.